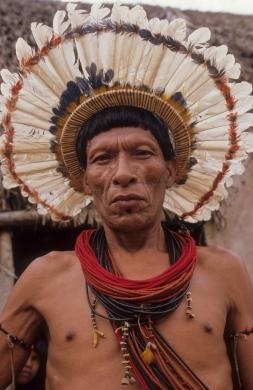 Brazil | Surui Amerindian man. Amazon | © Mark Edwards/Hard Rain Picture Library. | The Surui are a remnant tribe devastated by the construction of the BR364 road through their territory. Only a few hundred Surui Indians remain and many of them are sick.